Apolipoprotein E (APOE) plays a significant role in lipid metabolism and has been implicated in the growth and repair of injured neurons. Two small studies have suggested an association between APOE genotype and cerebral palsy. We investigated if APOE genotype is associated with an increased risk for cerebral palsy, influences the type of cerebral palsy or interacts with prenatal viral infection to influence risk of cerebral palsy. The population-based case-control study comprised newborn screening cards of 443 Caucasian patients with cerebral palsy and 883 Caucasian matched controls. APOE genotyping was performed on DNA extracted from dried blood spots. Allelic and genotypic frequencies did not differ between cases and controls and combined frequencies were 0.10 (ε2), 0.76 (ε3), 0.14 (ε4), 0.03 (ε2/ε2), 0.10 (ε2/ε3), 0.03 (ε2/ε4), 0.02 (ε4/ε4), 0.21 (ε3/ε4), 0.61 (ε3/ε3). APOE genotype was correlated with cerebral palsy, type of cerebral palsy, gestation at birth and the presence of viral nucleic acids detected in previous work. Analysis by gestational age (all gestational ages, ≥37, 32–36 and <32 weeks) and type of cerebral palsy (all types, diplegia, hemiplegia and quadriplegia) showed no association between APOE genotype and cerebral palsy in this Caucasian population. An association between prenatal viral infection, APOE genotype and cerebral palsy was not demonstrated. These results did not confirm an association between APOE genotype, cerebral palsy, type of cerebral palsy and prenatal infection in a Caucasian population. 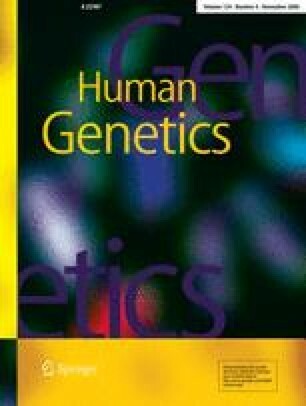 Given the low frequency of APOE ε2 and some of the heterozygote and homozygote combinations in this study, a larger study is assessing this further. This research was supported by the National Health and Medical Research Council, The Channel 7 Children’s Research Foundation, The Cerebral Palsy Foundation, The University of Adelaide, and the South Australian Government Captive Insurance Corporation. The supporting sources had no influence on the analysis, writing or submission of the manuscript. We thank the staff of the Neonatal Screening Laboratory (Women’s & Children’s Hospital) for their technical assistance. We thank the staff of the Department of Microbiology and Infectious Disease at the Women’s and Children’s Hospital for their support.